What is “Dark Joker Rises” mobile slot about? The Dark Joker Rises is an HTML5 slot machine game provided by Yggdrasil Gaming. The game is obviously supposed to be a pun on the movie: The Dark Knight rises, although it contains very few batman related images. The game can be played using a mobile phone, a smartphone, or tablet. The slot machine consists of 5 reels, 3 rows and 10 paylines. Coin sizes range from €0.01 to €0.30 in total, with players being unable to adjust paylines. The minimum wage is €0.10 per spin and the maximum wage is set at €3.00 per spin. The Dark Joker Rises can be played for free and players can start with 11,000 coins. The jackpot is set at 6,000 coins. The game can be played via your regular mobile browser which means that a download is not necessary. The overall atmosphere within this game is mysterious which fits the purpose of the game. The background music fits well with the used images. 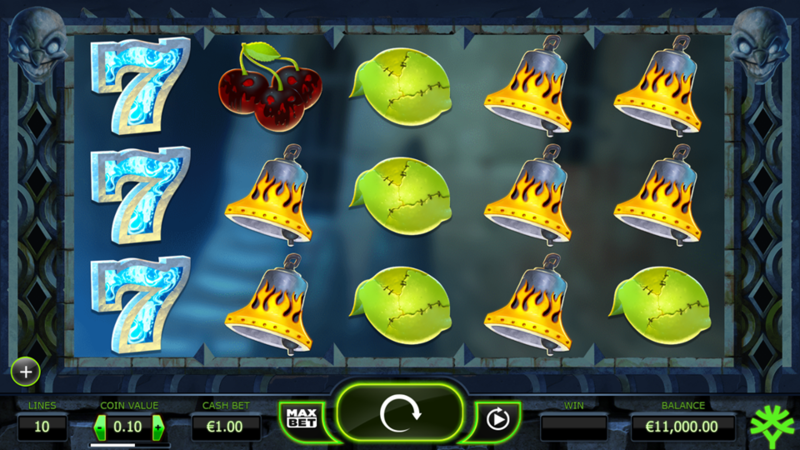 The game features six regular symbols (bells, sevens, fruits) and a joker symbol. Yggdrasil Gaming provides the user with a simple and easy-to-use interface. Spinning the slot is very easy since the spin button is relatively large. The symbols are in line with the overall atmosphere in the game since they are not the nice-looking and good tasting fruits. They look mysterious, just like the background and environment. There aren’t many special features included in The Dark Joker Rises. However, there is a multiplier symbol which is represented by the Dark Joker. When three or more jokers appear in any order, the player will enter this mystery mode. Players can win 1,000 to 3,000 coins for 3 jokers, 3,000 to 6,000 for 4 jokers, and 6,000 coins for 5 jokers. The “Jokerize Mode” is another feature which is activated when 2 joker icons appear and prices can range between 20 and 6,000 coins. A free spin bonus is randomly awarded by the game after any mystery win. A player can win coins when at least three pieces of a symbol appear in line. Rewards rise as the amount of symbols increase to 4 or even 5 symbols. The cherry is least rare to appear and gives the lowest reward, followed by the pear, grapes, bell, seven and star symbol. Any win in the game activates the “Jokerize mode”. The joker symbol is the most desired symbol to get. As mentioned before, the jokers can activate a mystery win in which players can win most coins. Wages per spin can be easily adjusted between €0.10 and €3.00. However, players are able to bet €200 to get a spin with one free joker to increase the chance for a mystery win.